It's been a while since my last post and I recently got into cycling, did a long ride and I thought why not write about it. 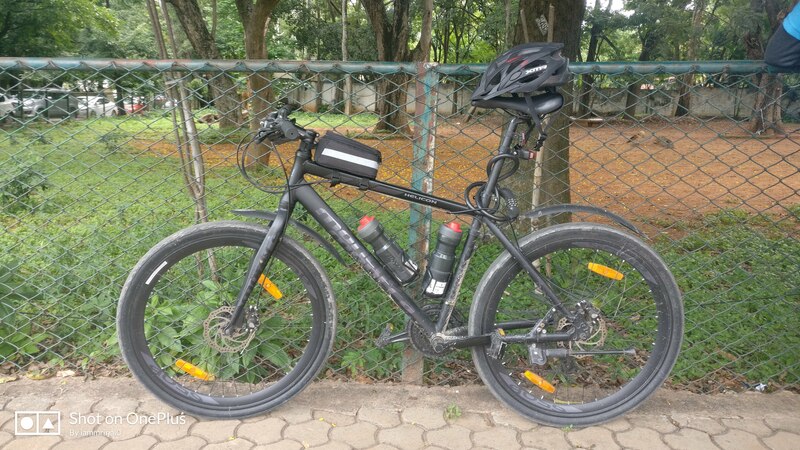 I got myself a Montra Helicon Disc 2017, and I use it for commute and at times long rides on the weekends around Agara-Bellandur-Old HAL Road-EGL-Madiwala, Forum-MG Road-Cubbon Park-Vidhan Soudha and back. And recently I started going for regular rides in the morning too, not restricting myself to only the weekend fresh air. I use Strava to track all my rides and one fine day Vaishak(someone I follow on Strava) noticed me on my regular ride and suggested to join their group as they ride everyday too. And so I did and the same weekend most of the riders had planned to do a 150kms ride organized by CNL(Cycle Network League) and one of the seniors, CK sir, suggested I join them too and I was hesitant at first as the maximum distance I had done till that date had been 52kms and suddenly a huge leap to 150 was not something I had planned on doing for at least the next few months. Eventually he was successful in convincing me to join the ride and that's how it started. The ride was on the 24th of July 2018, a Sunday. We had to take selfies at 5 checkpoints to show that we did the ride according to the route. And had to reach the 3rd checkpoint at Shivagange, which was 80kms from the starting point, by 11.30AM or we would be disqualified and this checkpoint was also where we would be provided with food and refreshments. We made our first stop at Srinidhi Sagar Deluxe on the Mysore road at 20kms for breakfast as there would be no place for it later till we reach the 3rd check point. Our next stop was at the Big banyan tree for the selfie and as we had spent some considerable time for breakfast we didn't want to stop for any long breaks. After the banyan tree, we proceeded towards Magadi and this is where it was a complete uphill ride. We had to make short stops to catch our breathe and hydrate ourselves every now and then. By the time we reached here it was already 9:15AM and we were skeptical if we could make it to CP3(checkpoint 3) in time which was still 30-40kms out from here. 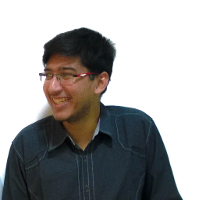 So our group leader, CK sir, suggested that Vaishak and I go ahead rather than be held back by others. The roads were amazing around this route that we just pushed ourselves only to be limited by the heat. My phone died at around 80kms as I forgot to switch off data and as we were cycling through areas where network was unavailable, it drained faster than expected. By the time we reached CP3 it was 11:10AM and we noticed that there were already many people who had reached. We rested for a bit and I decided to eat only a couple of bananas and not eat the food that was provided, as I wasn't feeling hungry and in hindsight this was a mistake on my part. We started back at around 11:25AM and we had around 70kms to cover to the finishing point so we decided that we would take fewer breaks. But things never go according to plan and we ended up taking quite a lot of breaks than we would like to admit. Most of it because I had to hydrate myself and eat a bar of snickers or two to push myself to complete the ride as I hadn't had proper food. The last hour was bad as instead of enjoying the ride, I started looking at how many more kilometers were left and how much time we had. We gradually reached CP4 and by the time we were at CP5 we had entered city limits and we knew that now the traffic is what would kill us. Overall, it was extremely exciting and fun to ride with a group and also maintain speed so as to reach before the stipulated time. Not to forget the highlight of it all; the tan that I have on my thighs and arms.